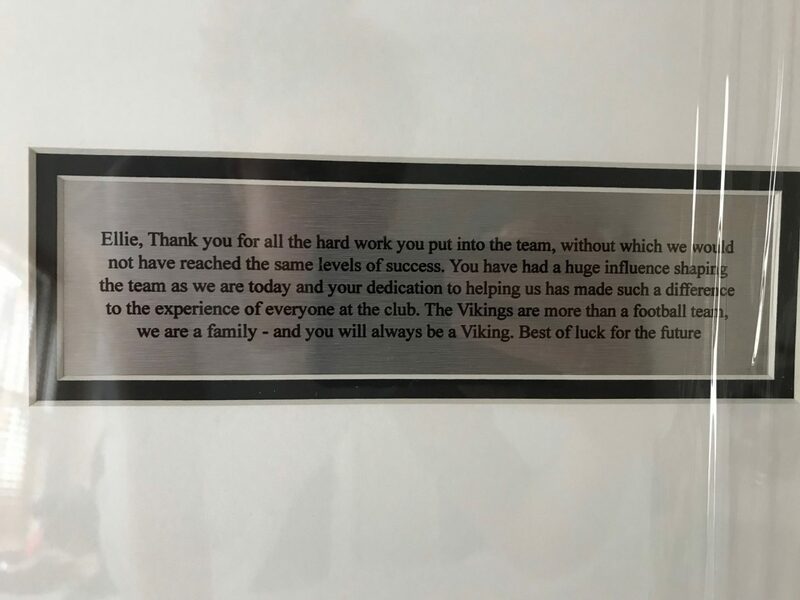 To all Vikings who made my last 5 years so memorable…. 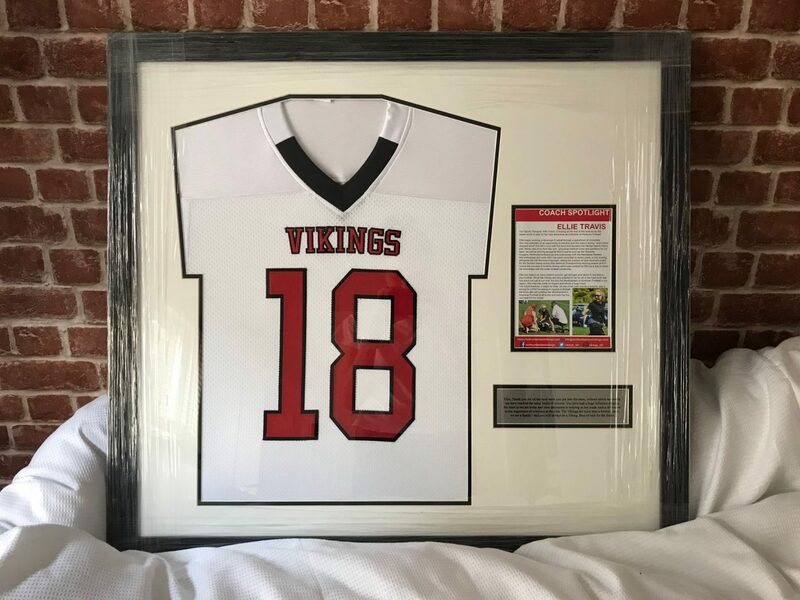 The 2018 senior season has come to an end and so has my time with the Northumberland Vikings. I began working with the Vikings during their first official season in the league and have seen them move through Division 2 to Division 1 and going 11/12 this season. During my 4 years with the team I have worked alongside many great players and coaches. The move away from the North East was hard, especially leaving a team I am so fond of, full of many great friends. Cards Against Humanity – the away-game travel essential! Many a game was won… (by me)! Pre-game Tunes – I never thought I’d ever hear the end of Taylor Swift! Not my type of hype music but it worked for them! 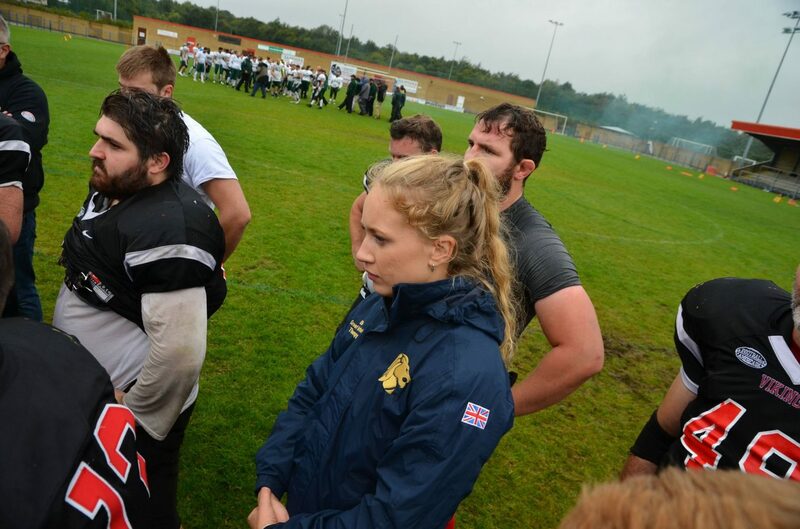 Merging with Northumberland Lightning – although we were all a little apprehensive about how the merger would go, a bunch of great guys joined the team and everyone has become great friends. It’s been a great move forward for the club. Cool Downs – I’ll miss all the moans at the end of the game when they were told it was time for mandatory cool-down. 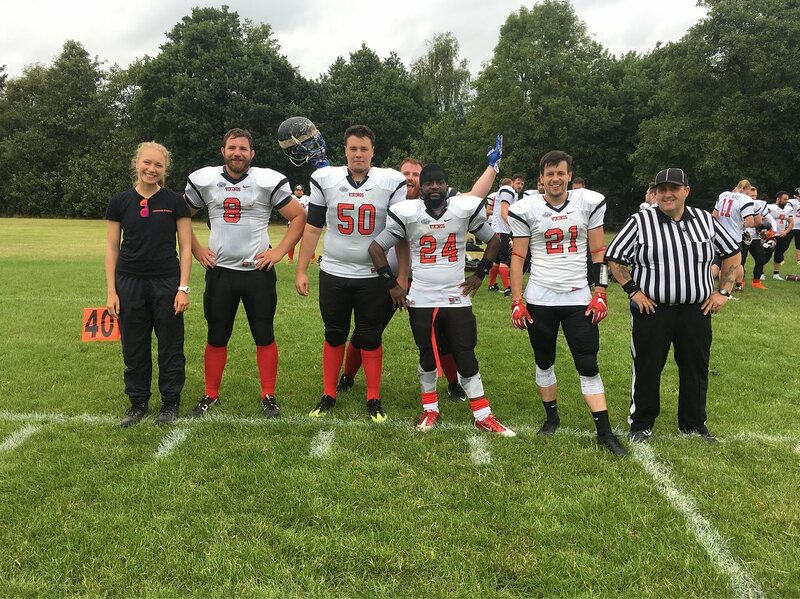 Playoff Football – Our final 2018 playoff game vs Leicester Falcons was a hard fought battle and a very enjoyable game to watch. Easy wins are great but not as fun to watch as hard fought games. We were missing key starters during that game but everyone stepped up. We have truly grown this year. 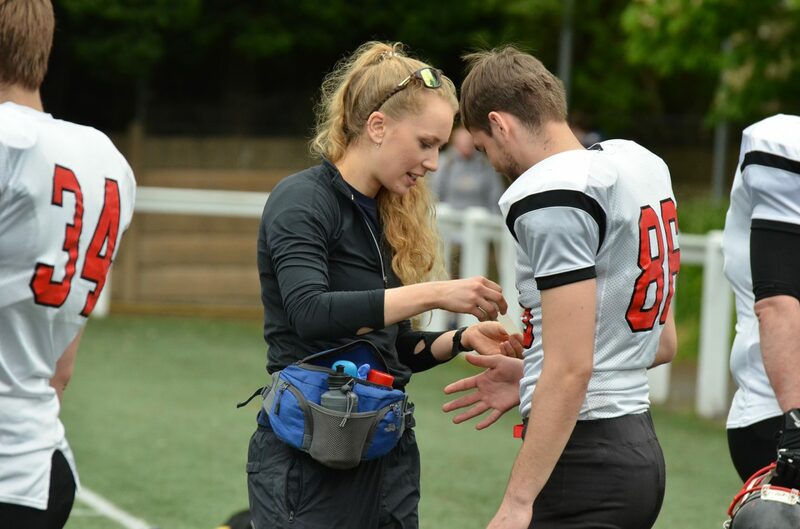 Pre-game – I loved seeing each athlete pre-game for treatment to catch up, see how they were doing and help them prepare for the game ahead. S&C – We had many a laugh during sprint and strength training sessions. Week by week – Getting to see players develop in skill over the seasons. And watching my boyfriend play each week can’t be missed from this list. 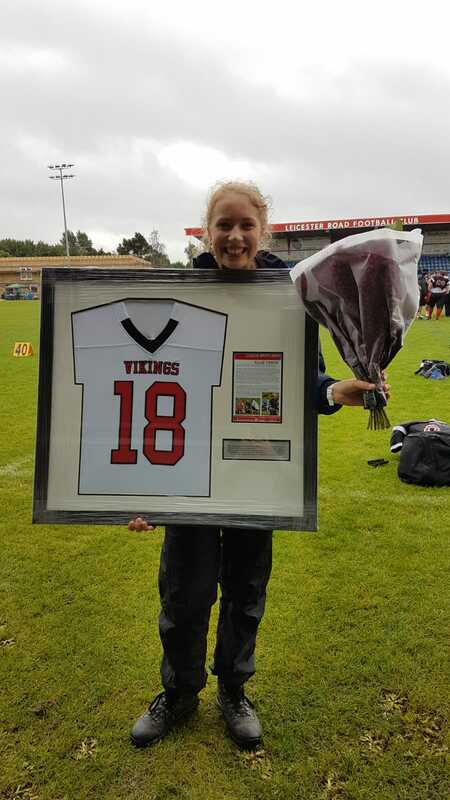 My last regular-season game – Thank you to the team for asking me to be an honorary captain for my last regular-season game with them against the Lancashire Wolverines. It really was an honour! And thank you for my wonderful farewell gifts which I will treasure forever! 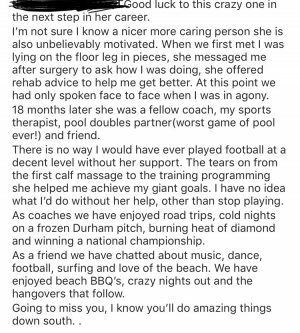 Here was one lovely message of goodbye from a good-friend, client and fellow coach. 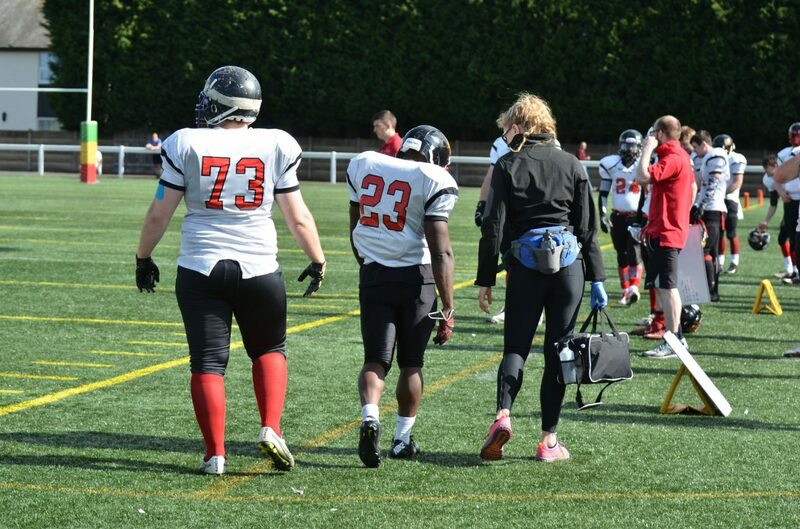 And finally, the management and game-day staff at the Northumberland Vikings are fabulous. They work tirelessly to make game-day easy for both the players and coaches. With their help I can’t wait to see how far the Vikings will go in the future! Thank you to photographer Micheal Oakes for catching the action over the years. 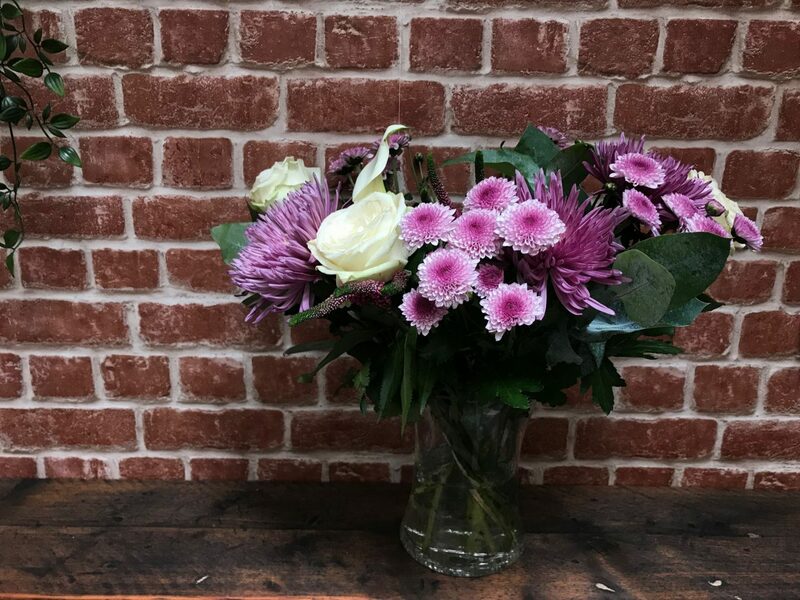 Thank you for making my work with you all so enjoyable! For more about the Northumberland Vikings click here.